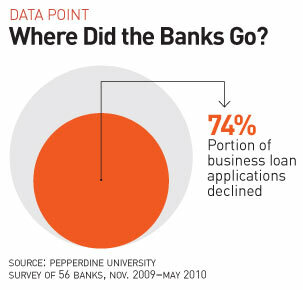 The recession may be over, but traditional forms of business financing remain stubbornly difficult to nail down: A recent Pepperdine University survey showed that though banks report an increase in the volume and quality of loan applications, they continue to turn down the vast majority of loan applications that they review. It's no surprise, then, that businesses are turning to less conventional means of raising money. One increasingly useful technique is finding customers willing to make small investments to fund start-up operations and expansion. Here are three variations on that theme. DPOs have existed for decades as a way for small businesses to raise capital from wealthy individuals. The hurdles were high, however, and the rules were arcane, making the technique impractical for most businesses. In 1989, the requirements changed; a decade later, they were greatly simplified. Regulators in 47 states have been allowing businesses to raise up to $1 million a year through shares priced as low as $1 using a financing technique called the small corporate offering registration, or SCOR. When bank lending was easy, SCOR was seldom used. Now, all sorts of businesses are using SCOR to invite customers to invest via their websites or product labels. Gary Steszewski is using this method to get expansion funding for his Buffalo-based company, CityMade. CityMade's websites sell locally made gifts and souvenirs online from 12 cities, including New York; Washington, D.C.; and Toronto. Steszewski recently raised $250,000 through SCOR to launch 14 new "MadeIn" sites. Because he registered with New York State, only New York–based customers can invest. There's one major drawback for investors, though: They are unlikely to see a payout on their investment unless the company is acquired or goes public. Community supported agriculture, or CSA, programs were first popularized by eco-conscious foodies; they pay local farmers a lump sum at the beginning of the year in exchange for regular deliveries of produce. Now, the model has been extended to nonproduce businesses. In the past five years, LocalHarvest.org, a database of local businesses around the country, has seen CSAs triple to 3,732. Director Erin Barnett says that's owing in part to "creative entrepreneurs" who have played with the concept. There is nothing preventing any business from adopting the technique, says Barnett. "The CSA model is infinitely variable," she says. Already, there are winery CSAs, soap CSAs, bacon CSAs, even art CSAs (members pay up front for at least three months' worth of monthly "art-in-a-box" installments). Susan Gibbs turned her part-time hobby into a going business when she financed her yarn company, Juniper Moon Farm, with CSA investments: Members pay $175 per share in return for about 1,800 yards of yarn a year. "I think it can work for a lot of industries," says Gibbs. "It just requires a customer base that's passionate." The most popular type of customer financing is probably fan funding, which involves websites like Kickstarter soliciting donations to finance creative projects. Now, however, some fan funding sites are offering customers a return on their investment. FashionStake.com, co-founded by Vivian Weng and Daniel Gulati, lets designers upload their collections along with their production funding goals. Customers can then invest $50 or $500 in the designs they like most. When a designer meets his or her financing goal, the collection goes up for sale on FashionStake's site. The better it sells, the more store credit investors get. The New York City–based site launched in September, and it has raised about $75,000 from 500 customers.